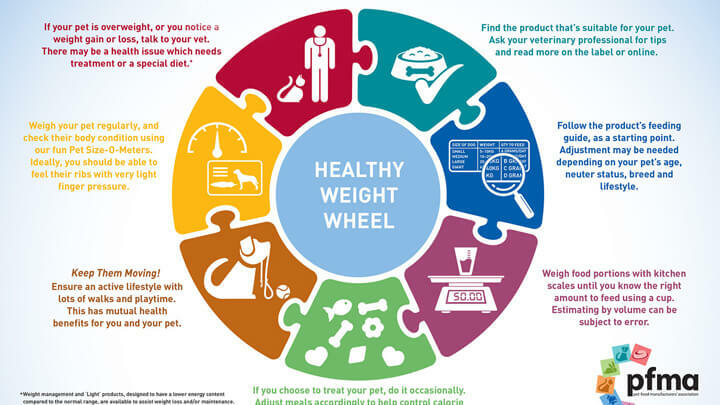 PFMA has a range of weight management related posters to help professionals and owners understand how to keep pets healthy. 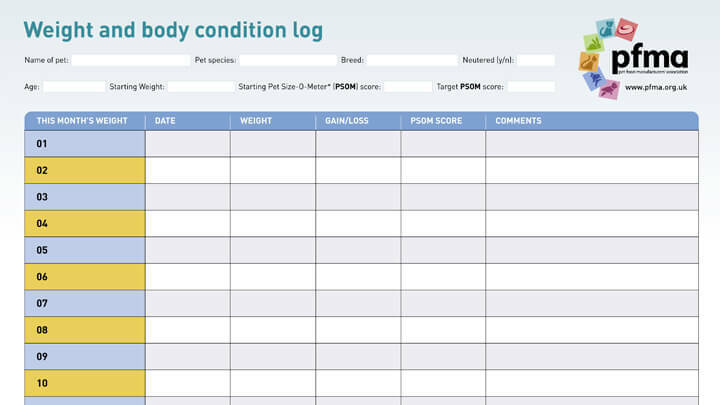 Here you will find our Food Diary and a Weight and Body Condition Log, which can be easily printed off and stuck onto the fridge at home. Our Did You Know Poster is a fantastic way of showing pet owners the shocking facts! 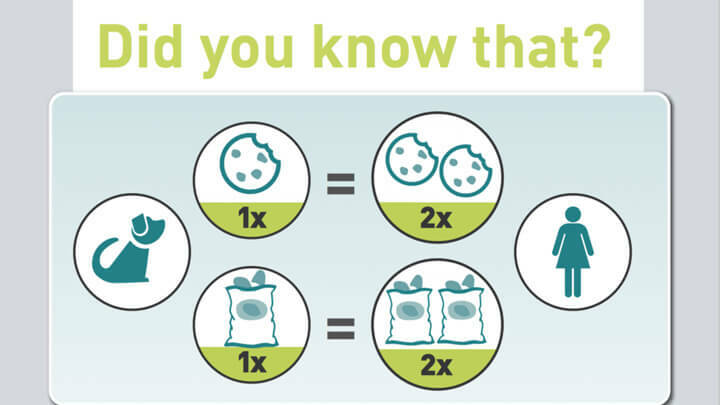 For example that a small chunk of cheese given to a cat is the equivalent of a human eating nine chunks! 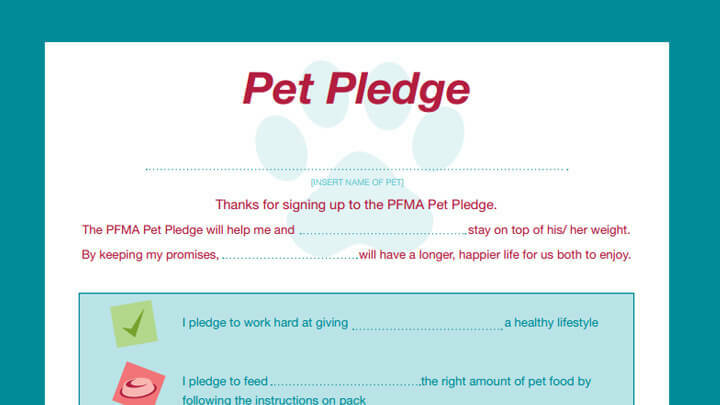 For families looking to get their children involved in petcare, have a look at our lovely Pet Pledge! 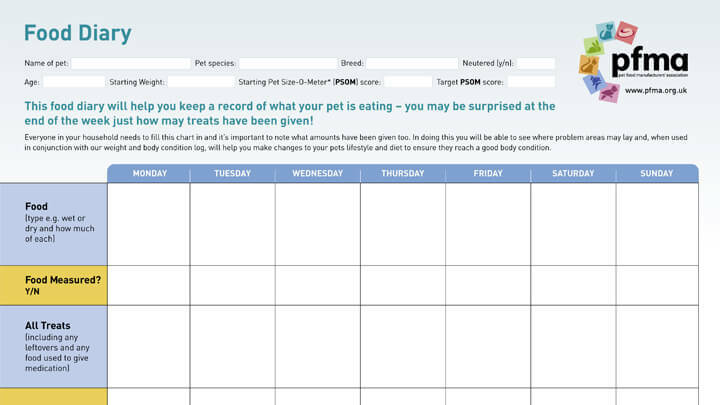 Don’t forget, our Pet Size-O-Meters can also be printed off as posters for display.